In March of 2006, professional cyclist Ron Hinson took his mountain bike, along with his golden retriever, Zoe, for an active day trip through some trails in his hometown of Raleigh, North Carolina. It was only after returning home that Ron realized he had been riding on deer trails, not bike trails. The biggest clue: He’d picked up multiple deer ticks along his journey — 26 to be exact. Zoe was covered in the tiny insects, too. 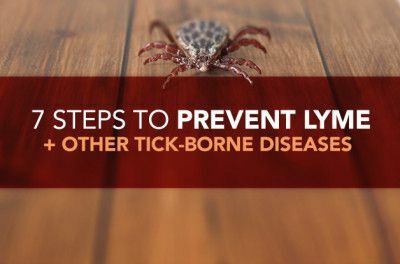 Soon after, Ron visited a primary care physician as a precaution against Lyme. He didn’t undergo any testing, but the doctor started him on the antibiotic doxycycline, a common first line of defense for early Lyme. “It was the first time in my life taking doxy, and I hated it,” Ron remembers. The antibiotics caused such terrible digestive issues, he stopped taking the drugs after only a few days. Soon, he forgot about the tick bites. The next year, Ron was bitten by 12 more ticks while mountain biking. He visited his doctor, who started him on antibiotics, again as a precautionary measure. Within two days, the same digestive issues he’d experienced while taking the doxycycline returned. And once again, Ron stopped taking the antibiotics. 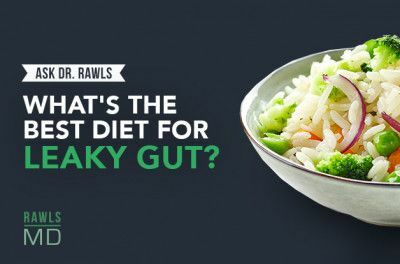 “It just ruined my gut, so I said, ‘No way. I’m not taking it,’” Ron remembers. 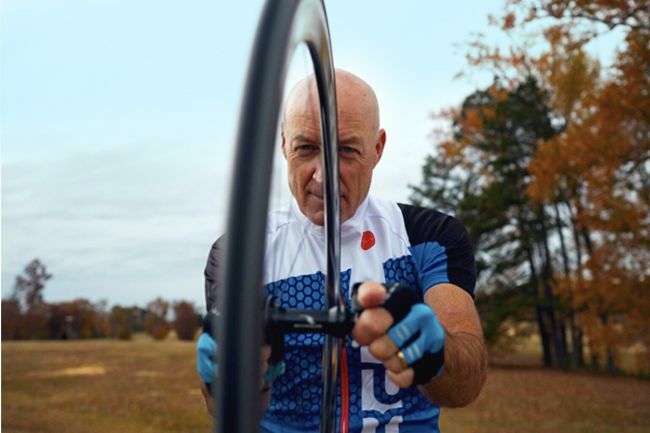 As a long-time cyclist, he believed he was healthy and his immune system was strong enough to handle any issues he may have, without needing antibiotics. But a year later, Ron found himself struggling with forgetfulness, muscle fatigue, and anger and other emotional issues. He pushed through until, in the middle of a cycling race, his symptoms became so overwhelming that he had to quit. It was the first time he’d quit a race in his 17 years of international and competitive cycling. As he continued to search for answers, Ron’s symptoms worsened. “It was extreme. I lost 39 pounds, I couldn’t think right, there was a ringing in my ears, I had a fever and headaches, and I had to walk with a cane,” says Ron. After that experience, Ron recalls feeling “really bugged out and kind of depressed.” His pain worsened to the point where he was confined to his bed for about two weeks, and his depression worsened. The wild swing from his former active lifestyle to a sedentary one full of painful and uncontrollable symptoms left him feeling devastated. He was no longer able to ride his bike for long periods of time, cycling uphill and through trails that were miles long. “I was very angry. I had emotional issues. I thought I was going to die,” Ron remembers. 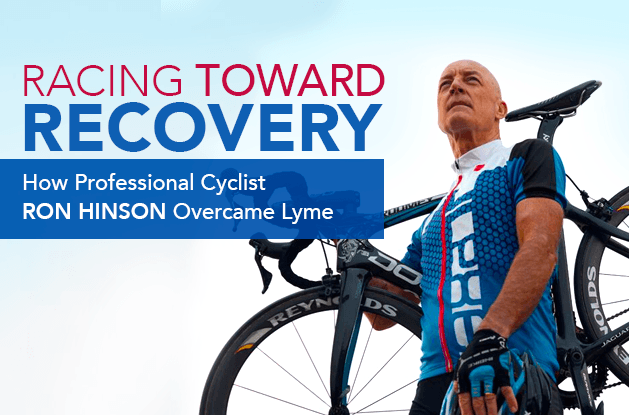 When he felt well enough, Ron reached out to a local Lyme specialist he had learned about through a fellow Lyme sufferer. The specialist started him on what felt like an epic journey of cycling through various antibiotics. Ron went on and off antibiotics for nearly five years, experiencing multiple relapses all along the way. Eventually, fed up with the roller coaster, he made the decision to stop taking antibiotics altogether. “I couldn’t imagine taking antibiotics for the rest of my life,” Ron explained. He began to search for an alternative treatment plan, and stumbled upon a local Lyme support group run by the North Carolina Lyme Disease Association. 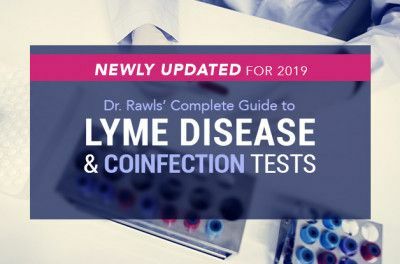 He started attending meetings, and it was at one of those meetings in 2015 that he heard Dr. Bill Rawls speak about his holistic approach to overcoming Lyme. Today, Ron relies on a healthy diet, regular exercise, and the herbs to help manage his symptoms.